Take the HUAWEI P9 experience to the next level with the HUAWEI P9 Plus, immaculate 5.5” display within a stunningly designed metal uni-body. * Disclaimer: specifications may change without notice, images are for illustration purpose only. Colour may vary, colours and features may not be available in all market, please check with local retailers for exact offer. Blending superior hardware and software with Leica dual lenses, the HUAWEI P9 Plus enables you to capture the highest quality pictures without compromising on the handset’s sleek and compact style. The HUAWEI P9 Plus captures brilliant colour, artistic black and white, and the emotional appeal of Leica images. Capture more light with two sensors, one RGB and one monochrome. Get incredible shots with the HUAWEI P9 Plus's merging algorithm, which intelligently combines the colours taken by the RGB sensor with the detail of the monochrome sensor. Shoot better in low light with the 1.25 µm pixel size of the dual 12-megapixel cameras, and bring a professional quality to your photos in all conditions with the HUAWEI P9 Plus’s IMAGEsmart 5.0 technology. Achieve a professional camera-like photo quality with the Leica co-engineered Picture Quality Algorithm, even in low light. The larger 5.5” FHD display features increased colour saturation and higher contrast ratio for an even richer visual experience. The 3400 mAh battery with dual IC rapid charging means you can stay charged for longer. The HUAWEI P9 Plus delivers an outstanding high-frequency audio performance. When used in vertical mode, the HUAWEI P9 Plus’s earpiece acts as a tweeter, and works with the lower to mid range HUAWEI P9 Plus speakers to produce a frequency range of up to 20 Khz. In landscape mode, the device’s stereo sound gives you the ultimate video watching and music listening experience. 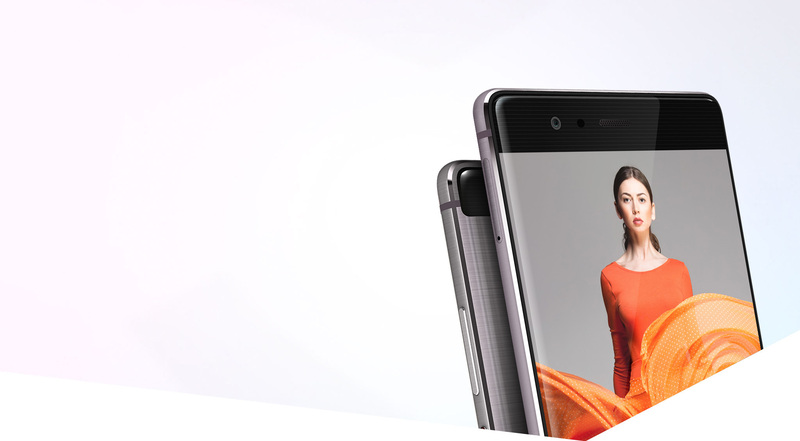 The HUAWEI P9 Plus offers our enhanced ‘Press Touch’ innovation, building on HUAWEI’s screen pressure recognition technology. The newly optimized ‘Press Touch’ recognizes subtler variations in screen pressure, making your phone more interactive and responsive. Preview images, magnify details, and access applications via the pop up shortcut menu for fast and easy use. Capture sharp images with built-in dual-core ISP, professional DSP and the depth measurement ISP for improved image focusing, speeds and processing. Take photos with incredible speed, depth and clarity with ‘Hybrid Focus’ technology, using laser focus, depth measurement and contrast. Experience superior performance via the custom chipset powered by the Kirin 955 processor. Inside the Kirin 955, there is one dual-core ISP for fast merging, optimized colour and noise management, and a dedicated DSP for post processing. Achieve professional photographic effects and access a powerful array of unique functions, including a choice of film mode, wide aperture effect, monochrome mode and professional mode. Create stunning images through the wide aperture effect. Reproduce authentic colours through a range of film modes: Standard, Vivid and Smooth Colours. Edit your images without compromising their quality through the HUAWEI P9 Plus’s Professional Mode with RAW format output. With an 8 megapixel auto focus front-facing camera, you can achieve superior selfies even in low light. The HUAWEI P9 Plus is the smartphone with a virtual Triple antenna, meaning you don’t need to worry about your hand position under different signal conditions. Automatically connect to the strongest available Wi-Fi network. The HUAWEI P9 Plus automatically ranks Wi-Fi hotspots, and prioritises the best connection. 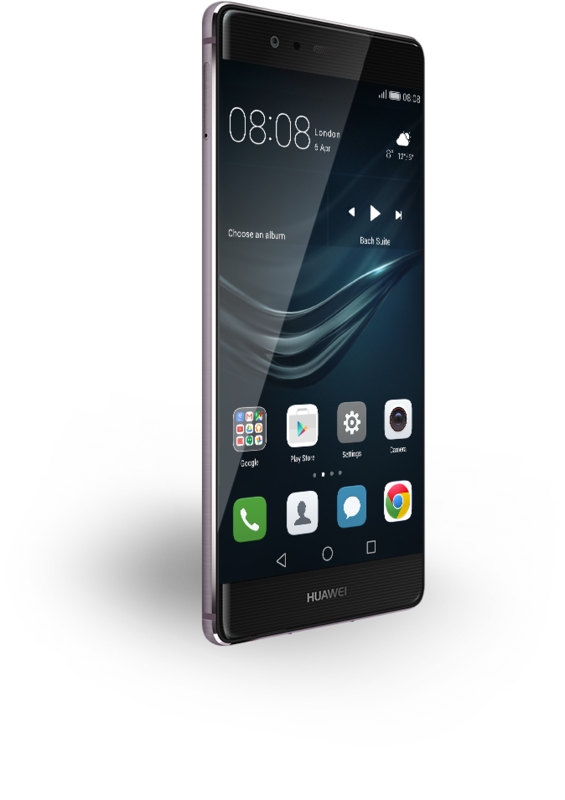 The HUAWEI P9 Plus is crafted by some of the world’s top industrial designers to achieve a visually stunning design with diamond-cut edges, rounded out by beautiful curvatures. The HUAWEI P9 Plus is sculpted using aerospace-class unibody aluminum and a superior-grade 2.5D glass. Product colour, shape, interface and functions are for reference only. The actual product may vary.